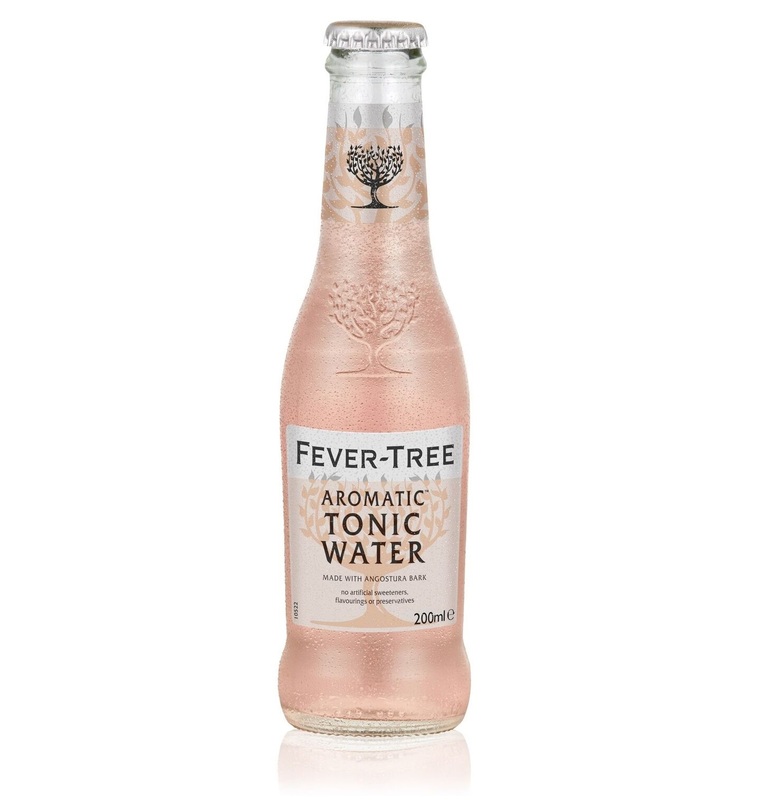 For its 11th product, artisan mixer-make Fever-Tree takes another stab at tonic water, this one designed particularly for Tanqueray and Plymouth gins. It’s the 5th tonic water offering from the brand, and it’s particularly unique because, well, it’s pink. Fever-Tree, the world’s leading producer of premium tonics and mixers, unveils the launch of Aromatic Tonic for the U.S. market. Inspired by a historic recipe used by the British Royal Navy in the 19th century and using the highest quality angostura bark sourced from South America, Aromatic Tonic will add a splash of pink to Highballs this summer. Fever-Tree’s Aromatic Tonic arrives in select top bars, restaurants, hotels and retail stores in July 2018 (SRP $5.99/200 ml 4-pack and SRP $3.99/500 ml). Fever-Tree’s co-founders Charles Rolls and Tim Warrillow have once again gone to the ends of the earth to source the highest quality ingredients for the new Aromatic Tonic. While researching historic ingredients and early references of tonics, Tim discovered medical records of British Navy surgeons prescribing angostura bark as a fever remedy or “tonic” as far back as the early 19th century. The gentle bitterness of angostura bark from South America is balanced by the sweet, spicy flavors of various ingredients, including vanilla from Madagascar, pimento berry from Jamaica, ginger from Cochin, and cardamom sourced from Guatemala. This combination is rounded off with Fever-Tree’s signature quinine from the Congo and soft spring water to create a tonic water with subtle aromas of exotic spice and fresh citrus, a refreshing aromatic flavor and a clean, dry finish to complement. Like the 19th century tonic, the South American angostura bark extract gives Fever-Tree’s Aromatic Tonic a distinctive rosé pink hue. The pink color certainly makes a statement, but the addition of angostura bark also gives this a uniquely bittersweet flavor, with hints of strawberry, peach, and lemon notes finding a fitful balance amidst the bitter, herb-driven notes. The finish has a character akin to sour cherries, making the whole affair a bit stranger than you’d think. With gin added, the cherry note really pops out, mixing with the juniper-heavy herbal character to create an entirely new sensation. Unfortunately, it’s a sensation that is not dramatically different than cough syrup, overly medicinal and quite a bit too sweet on the finish, lingering on the back of the throat for ages. I really enjoy Fever-Tree’s product line, but this product just didn’t resonate with me.